You know how some actors keep winning and never get to stop even when they are covered with grey hairs? That’s the story of Keith David. Since breaking out in the 80’s by starring as Childs in The Thing and as King in Platoon, the actor has been killing it in mainstream films, stage acting, voice-overs and more. More films he appeared that are still essential films of all time include They Live, The Chronicles of Riddick, Armageddon and a couple of others. The voice actor has also built a successful career in both comedy and music, having released many great works in those areas. Keith David was born on June 4, 1956, in Harlem with the given name; Keith David Williams. He was raised in New York City by African-American parents. His mother Dolores is a former manager at New York Telephone and his father was a director of payroll operations. He had his early education in the New York and picked interest in acting after participating in his school’s Land of Oz play as the Cowardly Lion. He obtained his high school education at Manhattan’s High School of Performing Arts and owns a bachelor of Fine Arts from Juilliard School’s Drama Division. Keith started out his career in 1979 doing small roles until 1980 when he joined The Acting Company (established by late British actor and producer, John Houseman) for a tour around the United States for the production of A Midsummer Night’s Dream and Samuel Beckett’s Waiting for Godot. Although Keith already knew the basis of acting then, the tour helped improve his acting skills and unlocked the door for more amazing roles. Two years later, Keith Williams stole headlines with a role as Childs in The Thing. That too got him a little more experience and drew attention to his talents. By 1990, his flouring career had won more enviable roles in great movies like The Quick and the Dead, Marked For Death, and Dead Presidents. Other films that featured him which were also a blast to watch include Men at Work and Clockers, directed by the distinguished director, Spike Lee. The accomplished American actor rounded up the 90’s with roles in Armageddon, Volcano, and There’s something about Mary. Multiple projects rolled in the early and mid-2000’s as he got roles in mega-successful films such as Requiem for a Dream, Crash, Pitch Black, Barbershop, Mr. and Mrs. Smith, The Chronicle Riddick and more. Thereafter, things have been going smoothly for him. With more than 150 films he has satisfactorily appeared in, Keith David has made more movie appearances than a lot of stars he started with at the same time. The award-winning actor has also done quite a lot of other successful projects including voice-covering video games, anime series, and some characters in films. Several record-breaking animated series where he unleashed his narrating skills include Princess Mononoke, and countless WWE documentaries; True Story of Wrestlemania, and Monday Night Battle. Keith David has also proven that he is really an all-rounder going beyond mainstream film acting and voicing to becoming a success in all aspects of stage performances; musical, acting, comedy etc. He received highly favored reviews for his Shakespeare performance on the New York’s Central Park stage. Also, his numerous works on Broadway have blazed the trails for many stage actors, for example, Seven Guitars by August Wilson. Other amazing stage acting performances on Broadway include roles in musical Hot feet and in Come and Go by Joe Turners. He was also outstanding during the preview of Ebony Repertory Theatre’s Paul Robeson in 2014 written by Phillip Hayes Dean. His performances in the PBS project The War and Unforgivable Blackness: The Rise and Fall of Jack Keith-DavidJohnson won him two Emmy Awards. Also, he has been nominated three times for his voice-over on Ken Burns documentary Jazz, Gargoyles where he portrayed as Goliath and The Tiger Woods Story. The versatile star has also bagged a Critics’ Choice Award nomination for Best Supporting Actor in a comedy series for doing a great job in Fox series “Enlisted”. His stage works have paid off with a nomination in 1992 for Best Supporting Actor in a Musical for his performance in Jelly’s Last Jam. While the talented narrator has had it easy with his career, winning two Emmy awards things seem a little tough for him when it comes to marriage. He has been married more than once. He and his first wife, Margit Edwards who studied drama at Hunter College got married in 1990. They later separated after for some personal reason. Their marriage produced just a son. Luckily, he has succeeded in keeping his second wife actress Dionne Lea Williams whom he married in 2001. The two has two daughters. 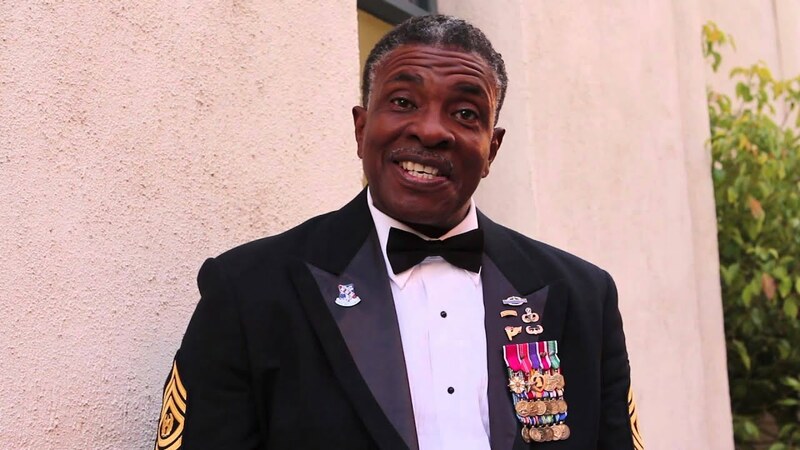 Keith David is among Hollywood’s biggest stars and so is his net worth. The actor has over the years experienced huge cash inflow in his bank account. His net worth couldn’t be verified as many varying figures have been quoted but it is expected to be in millions of dollars or possibly one billion – which is a sufficient reward for a guy who has gone all out since 1979 to give his best.